Join the motorway A14 Bologna-Bari. 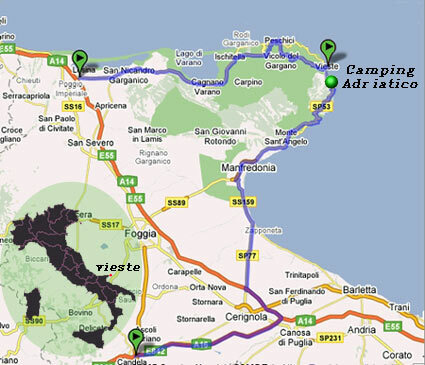 Station of Foggia and then with the bus to Vieste. Airport of Bari or Pescar .